Ubisoft has announced a closed beta for their upcoming action game FOR HONOR. The beta will run from January 26th to the 29th, and will reward all participants with exclusive emblems and loot. The beta will consist exclusively of the "War of the Factions" mode, in which you choose to join the Vikings, Knights or Samurai and fight for them in large multiplayer skirmishes that allow you to capture territories on a global map. At the end of the beta, the winning faction's players will receive additional rewards. 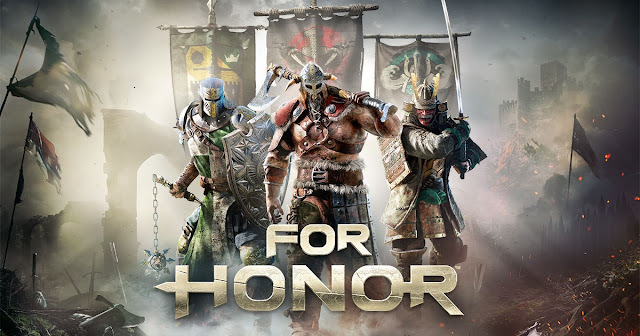 You can sign up for the beta here: http://forhonor.ubisoft.com/game/en-US/register/index.aspx - note that you will need to create or login to an existing Uplay account to participate. The retail version of For Honor is set to release February 14th, 2017, and will include a full story mode campaign as well as additional cooperative and competitive multiplayer modes. Which faction you going with? The knights look great but vikings are my thing so I'm going with them. In all the videos so far, the samurai seem OP.